The Union Bank of the Philippines announced that they will soon be launching their first owned two-way digital currency automated teller machine (ATM), to give its clients the opportunity to buy and sell virtual currencies in cash (Philippine Peso Fiat) via an ATM machine. It may not be the first ATM machine to process buy and sell of crypto in the country, but it will be an easy and convenient way to convert peso to bitcoin and vice versa, specially to those who already have a UB account. According to UnionBank's statement, this is their continues mission to cater the needs of its customers and the collaboration with the Bangko Sentral ng Pilipinas (BSP) that allowed them to provide Filipinos with innovative solutions in line with all applicable regulations. "In the bank’s continued quest to cater to the evolving needs and tastes of customers, including clients who use virtual currency, the ATM will provide these clients an alternative channel to convert their pesos to virtual currency and vice versa," said by UB. For those who have no knowledge about the cryptocurrency, it is a type of virtual currency (online or digital money) that uses cryptography – a method which store and transmit data in unreadable form so that only the intended receivers can read and process it. The first and most popular cryptocurrency to date was introduced in 2009 is Bitcoin. And because of the popularity of the use of virtual currencies for payments and remittances in the Philippines, the Bangko Sentral ng Pilipinas (BSP) formed a formal regulatory framework for virtual currency Exchanges through Circular 944 dated Feb. 6 2017. On the said circular, it requires digital currency exchanges company to register with the BSP as remittance and transfer companies. These exchanges are also required to put in place adequate safeguards to address the risks associated with virtual currencies, including control measures to counter money laundering/terrorist financing, technology risk management systems, and consumer protection mechanisms. 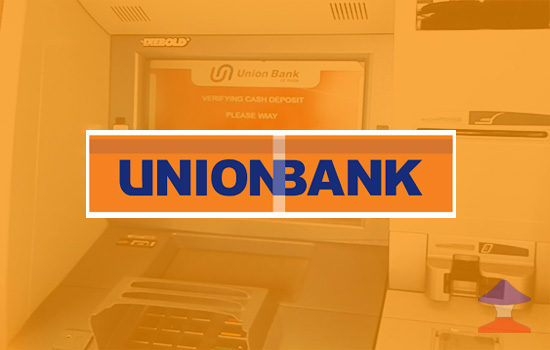 The UnionBank initiative to put digital currency ATM machine in the country is the key to let others know the importance of using cryptocurrency. Also guide them to the right path of investing or saving their money in the near future. If you think and believe that the real essence of cryptocurrency is to avoid banking institutions and the middleman or direct person to person transaction with no third party, well, that's right but think again. Technology evolves every day, it is only a matter of time that most transaction will be made digitally. A friendly advise, is to adapt digital evolution through searching and learning what is new. If you think outside the box, how we're going to make the 'crypto mass adoption' to become faster this coming year if some of us doesn't trust transaction with person to person because of the thing 'scam' or any reason? Yes! they need to be learn and educate first but that was a slow process for me. I think with the UnionBank's ATM machine which could be all over the country, they can easily learn and adopt the cryptocurrency because of the trust thing with the banks and accessibility. For disclaimer, this is not a financial institution: All information provided here is for educational material only: Do not take this information as professional investment advice. And this is not paid post for UnionBank, and Good Filipino is not connected to UnionBank or any party mentioned on this article. Comments or suggestions about "UnionBank Introduce its First Crypto Currency ATM machine" is important to us, you may share it by using the comment box below.